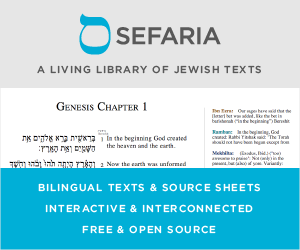 Could someone recommend a source for a machine-readable Hebrew with English Torah codex that may be used in software development projects? By "machine readable," I mean of a format that may be accessed programmatically and searched according to a criteria specified by the reader. Possible digital formats might include an ASCII text file, XML file or a commonly used database format. Sefaria is a great resource for this sort of thing. They return results in JSON or JSONP. Each translation has its own copyright issues which you'll have to deal with distinctly. However, "codex" might be too strict of a term when talking about translations. If you want Hebrew and English, they have http://mechon-mamre.org/p/pt/pt0.htm (using the JPS translation). I don't know the details on the permissions issues. Not the answer you're looking for? Browse other questions tagged product-recommendation technology pentateuch-chumash english text .